I love a glass or two of a full-bodied red wine. And judging by the endless stream of “Wine O’Clock” and “Wine Time” memes featuring minions and other dastardly characters that flow through my facebook feed I guess I’m not the only one. But logistics is aways an issue when trying to combine your favorite fermented grape with outdoor entertainment such as picnics. So how do you solve this problem? Easy. With wine bags, totes, carriers and purses. There is literally a wine bag to suit every possible need and occasion. In previous articles we have covered multi-purpose baskets and backpacks that can be used to help carry wine and food to a picnic, campsite or festival. But here all that will be covered is bags and carriers dedicated solely to the transport of wine. I have broken down this guide to buying a wine bag to the common categories of carriers that people are normally after, so use the content links to jump to the section of wine bag you’re after. If you’re a white wine drinker then the odds are you prefer your drink slightly chilled. You can achieve this goal with a cooler or you can get yourself an insulated wine tote. Wine coolers are normally made from a Styrofoam sandwiched between two layers of hard plastic, which works really well but isn’t great for carrying around. Insulated wine totes on the other hand are generally made with portability in mind. The two most common materials used to achieve this goal are Neoprene or a metalized film (typically aluminum). So look out for these two materials if you’re looking to buy an insulated wine bag. Best Insulated Wine Tote – As with all the different wine bag categories, there are several items that are of a very high standard. So it’s not easy to select one as the “best”. I’ll pick my favorite and give reasons, but depending on how you intend to use the bag you might be better off purchasing one of the close runner-ups. So, drum roll. 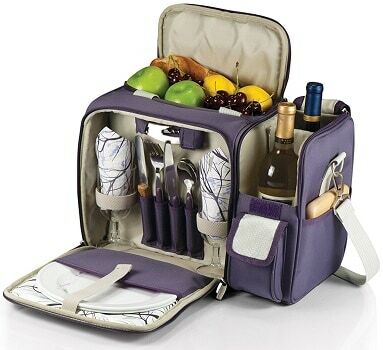 The winner of the best-insulated wine bag goes to… “True” and their wonderful 2-bottle wine tote bag picnic set. Granted, it’s not a great name for a wine bag but it is an amazing product. Runner-up Insulated Wine Totes – Vina make many great wine bags and have a few offerings in this guide. 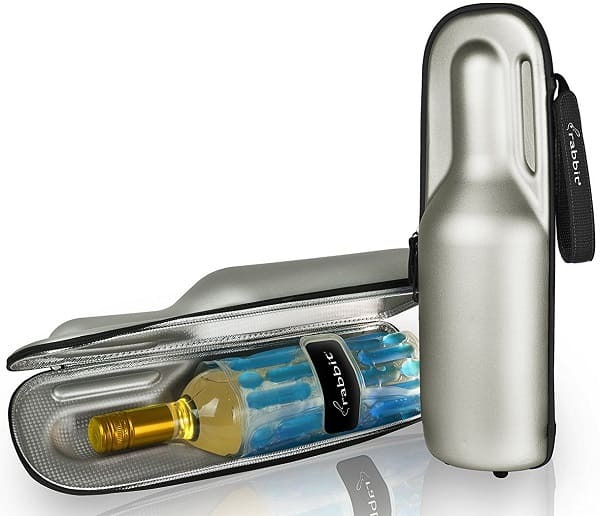 Their best-insulated wine bag is the “double bottle insulated travel wine bag“. As the name suggests, this bag carries two bottles of wine – it also comes with a sea horse corkscrew. Why I like this bag is it comes with a hand carrier handle and an adjustable shoulder strap. It’s amazing how something as simple as a shoulder strap (or other means of hands-free carrying) can make all the difference, especially if you have multiple items to carry. If two bottles of wine isn’t enough, then you may want to get Vina’s 3-bottle wine carrier. This bag is equally as good as their double bottle bag and comes with a bottle opener and shoulder strap (which is even more important now the bag is getting pretty heavy). If you want a wine tote made from Neoprene then look no further than Home Pro Goods excellent BYOB wine carrier tote. Neoprene is renowned for its insulating properties but this type of bag is only to be used to keep your wine cool for a short period of time. And as this type of wine bag is very cheap, you might consider buying it solely as a fancy wine protector. Now for something a little bit different. This isn’t a wine bag as such and is in fact a single bottle wine cooler, made of hard plastic and foam. The difference is this cooler makes wine easily portable. Made by a company called Rabbit and named “Wine Trek Portable Bottle Cooler”, it’s light weight and can keep wine cool in temperatures of 70 degrees. To keep wine cold for several hours you need to place an ice sleeve in the freezer for 30 minutes before wrapping it around the bottle and placing it in the cooler container. Leather wine carriers are the more expensive option of wine bag, but I’d say an excellent bottle of wine deserves a quality bag. And leather wine carriers aren’t out of range to the average pocket. The great thing about leather is that it’s durable and the older it gets the better it looks. And any slight scuffs and scratches adds to the rustic look to the carrier. Best Leather Wine Carrier – How do you know if a company believes in the quality of their product? The offering of a lifetime guarantee is how. And Vetelli’s “Wine Carrier Cooler Case” is one such leather wine bag. 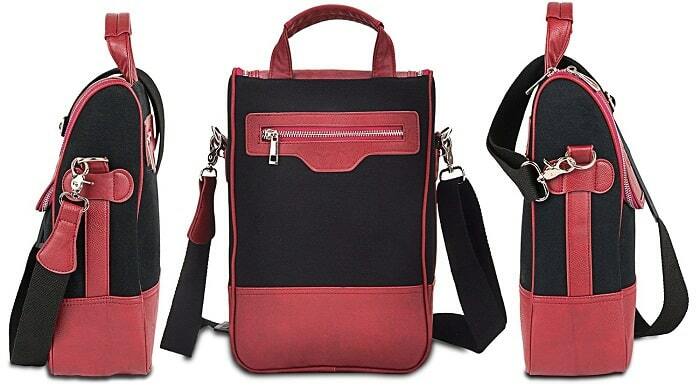 It has an insulated pouch, a removable shoulder strap, and a sophisticated look. If I were forced to choose a best overall wine bag then this would top the list. It’s a little pricier than many other carriers but will stand the test of time. 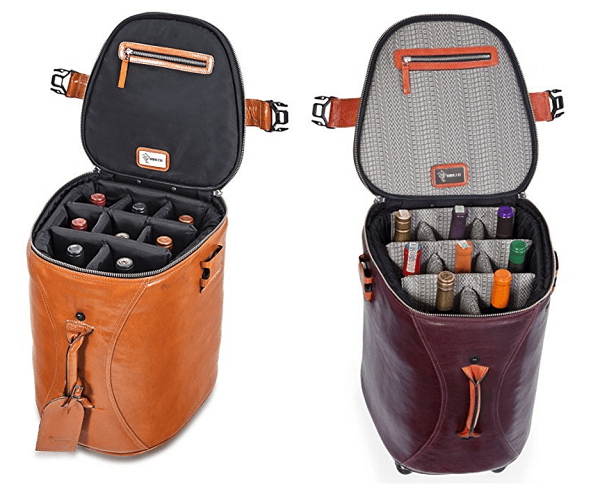 Runner-up Leather Wine Carrier – Royce Leather Connoisseur Wine Carrier. The name just screams quality. And this is exactly what this wine bag is. 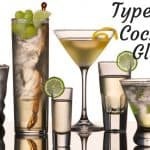 Made with top grain Nappa cowhide and includes two acrylic glasses and corkscrew. The makers describe this wine carrier as ideal for all occasions, from a fancy dinner party to a romantic picnic. The only issue with the Connoisseur Wine Carrier is this quality comes at a cost when compared to other options. But if you have the money you’ll have no regrets. If you’re on a budget look away now, the price of this next wine carrier will likely scare you. Provence Winefit make an eight-bottle wheeled leather wine carrier. Handcrafted in Brazil, using an aluminum frame and foam padding everything about this wine carrier screams of attention to detail. This case will turn heads if brought along to a picnic but the build quality also means it complies with international standards for air transportation of liquid and alcohol. On Provence Winefit’s website they claim to be the world’s number one wine luggage. Not sure how this statement is judged, but if it’s on quality, I can see this being true. Other than a brown paper bag, a canvas wine bag is the cheapest option. Many people buy these to use as reusable wine carriers when they make several trips to the store to buy wine each month. But they can be equally as good to carry wine to a picnic or BBQ. I like to buy these bags when attending someone else’s shindig and hand the bottle of wine over in the canvas bag, as this makes the gift appear a little more special and it looks as though you have put some thought into it. Elife makes a great set of single bottle canvas wine holders. And at the price, you can see why I don’t mind giving these away with the wine at a BYOB party. Buy the set of 10 and it works out less than a dollar per bag. 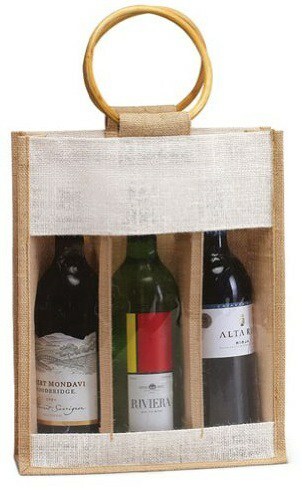 Jute Burlap wine bags are great if you want to bring a quaint rustic feel to your picnic. These bags can be plain looking or you can go for ones with bamboo or fabric handles. And if you have a good bottle of wine to show off you can get a bag with a mesh or plastic window. Whichever jute burlap bag you decide on, you know you’ve got a beautiful reusable bag. CarryGreen is a brand name you can trust when it comes to Jute wine bags. And their 3 bottle bag with a clear window and cane handle is my favorite. Many people buy these as gift bags, which I’ve also done on a couple of occasions, but they are strong enough to also use as a wine bag to carry bottles to picnics and BBQ’s. Now something for the fashion conscious lady that like a glass of vino, wine purses and handbags. And Picnic at Ascot makes its first entry into this wine totes article. 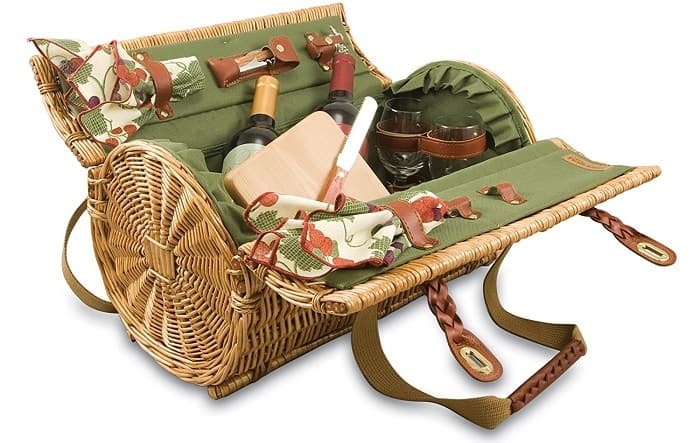 Picnic at Ascot make many wonderful picnic accessories and some great wine bags. If you buy anything bearing their logo you can have peace of mind you are buying from a reputable company. The wine clutch bag they offer is the best in their handbag range. Consisting of a hard out shell and padded interior this cute bag also comes in enough colors and patterns to suit everyone’s taste. As with buying any purse or handbag the beauty is in the eye of the beholder. 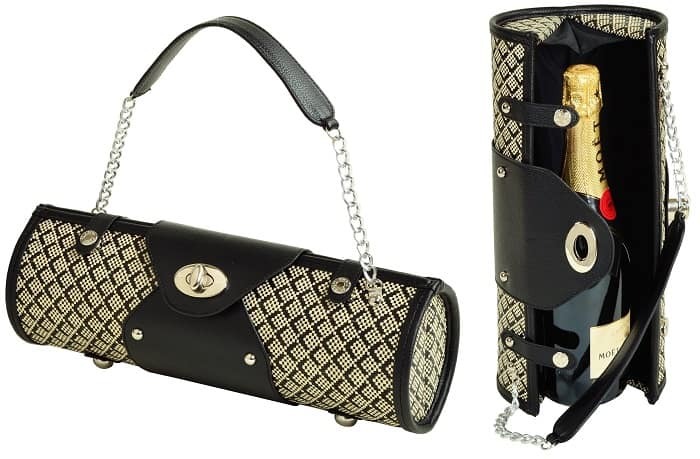 So here are three wine handbags with different styles that are very popular. The Turkey Vulture wing bag is a bit different to the others. Firstly this bag comes with a couple of Turkey Vulture branded glasses, but the novel twist is it comes with two disposable 1.5-liter bags and spigots. This means you just turn the tap on the bag to top up your glass. Our friends at Vina have made a bigger wine handbag, one that has the capacity to carry two bottles of wine. While Prime Ware has made a lovely cute discrete clutch bag that is insulated, no-one will even think this is a wine bag. For the following few sections on wine bags of a certain size, I’m going to add bags that haven’t already been mentioned in the previous sections or that offer something a little bit different. Pixnor – Ice Wine Pouch with Handle – More of a bag to be used as a substitute to an ice bucket to place a bottle of wine than a bag for transporting wine. PackIt – Freezable Wine Cooler Bag with Zip Closure – PackIt is a market leader in the freezable bag marketplace, so it’s no surprise they also make a great freezable wine bag. Vacu Vin – Active Wine Cooler – Not a wine bag, but a great addition to wrap your wine in to protect it and keep it cool before putting your bottle in a bag. MoiChef – Foldable Leakproof Wine Bottle – A screw top lid bag that you pour your wine into before leaving your house. Observ – Tartan Insulated Wine Tote – Tartan is synonymous with picnicking, so why not bring along a tartan wine bag. Picnic Time – Wine Sack – Perfect for tailgating, this wine bag can be branded with the sporting team of your choice. See all Picnic Time branded marchandise. Picnic at Ascot – Deluxe Insulated Wine Tote – A great wine bag for a moonlight picnic with the special person in your life. This deluxe wine bag also comes with glasses. Should you bring a bottle of red or a bottle of white? That’s a silly question to me. Bring a bottle of each with one of these wonderful 2 bottle wine carriers. 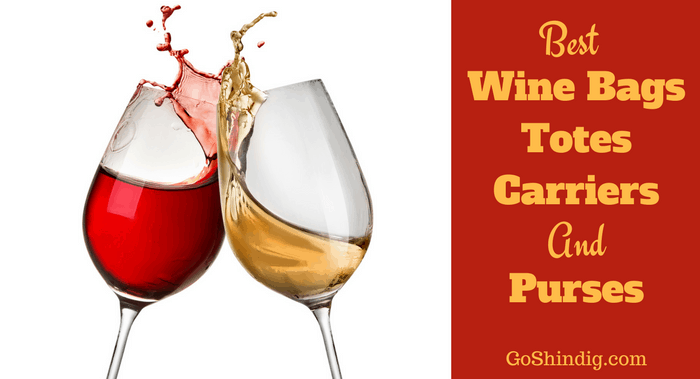 What’s the best food to go with wine? If you’ve not answered cheese then you’ve lost your mind! A well thought out cheese board and a glass of wine while sitting out in the sun is one of life’s great pleasures. The people at Picnic Time agree with me on this and have made a wine and cheese bag especially for such an occasion. As soon as you look at the weaved willow case your mind thinks of going for a picnic. And upon opening the basket and seeing the lovely green lining, cheese board, knives, and glasses you’ll be off to your kitchen to get some supplies and your best bottles of wine so you can give this wine bag a try. It’s not just Picnic Time that has decided to give the people what they want; many companies have their own version of a wine a cheese bag. Two of the best competitors to the bag above are from Picnic at Ascot and Picnic Plus. I’m willing to admit I am pushing the boundaries of an article on wine bags with this next item. But it’s just too attractive not to have a mention in this guide. What I would say is this is probably the best wine bag if you’re planning a lovely picnic on the beach, as it has a small compartment for two bottles of wine but also a larger compartment where you can pack beach towels and some food. Carrying 4 bottles of wine doesn’t have to be an accident waiting to happen with the fabulous 4 bottle wine bag by Handy Laundry (silly name I agree). 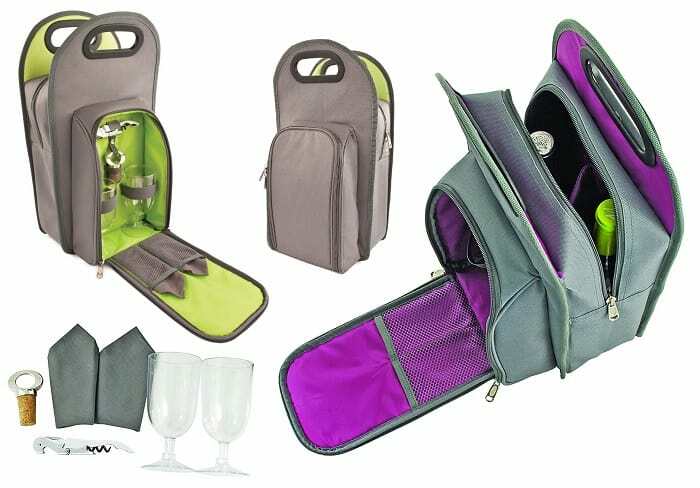 This wine bag is so compact it’d be hard for anyone to guess you are carrying 4 bottles, and the extra thick padding means you don’t have to worry about the bottles bashing into each other and ruining you perfectly planned picnic. A close second is an insulated 4 bottle wine bag made by Vina. Either you have a drinking problem or you’re planning an outdoors party if you need a 6 bottle wine tote. I’m hoping the latter, but either way 6 bottles of wine is pretty heavy. So the best 6 bottle wine carrier is one that comes with wheels. Bellino’s compact bottle limo rolling bag is one such bag. This bag also comes with side compartments to help with carrying any extras you might need. Runner up 6 bottle wine bags are from Picnic Time and Notbx. 12 bottle wine carriers are pretty much just bigger versions of the 6 bottle bags, so it’s no surprise I’m recommending Bellio once again. But this time their 12 bottle wine bag. An alternative is Snap dragon’s rolling bottle limo. As you’d expect both these bags are wheeled as 12 bottles of wine is very heavy to carry.